Preserve the bounty of your garden, support local growers, claim total control over ingredients, increase your food security, and enjoy great tasting foods that beat the pants off of anything from a factory. All of this is possible with home canning, and you are absolutely capable of mastering this easy-to-learn and affordable food preservation method. Once the commonplace domestic art of most households, home canning faded for a while but is again attracting a new generation of enthusiasts. This short guide quickly presents everything you need to know to safely preserve delicious foods like jams, fruits, relishes, pickles, soups, and most importantly tomatoes. Nothing at the store tastes as good as homemade tomato sauce preserved from tomatoes the day they were picked at the perfect peak of ripeness. Stop wondering if you could can food in your home kitchen and start doing it. This guide is written from the direct experience of the author who uses both the boiling water bath and pressure canning methods to preserve a variety of foods. This guide specifically addresses how to use a boiling water bath and a pressure canner. You will also learn how to easily decide which one you should use for any specific food. The principles of safety and how to prevent food spoilage are explained. A selection of recipes for popular foods is also included with a detailed emphasis on ways to preserve tomatoes and applesauce. Advice on ways to find affordable fresh local produce is also offered. If you are interested in affordably improving the quality of the food you eat, supporting local food, and expanding the productivity of your home garden, then you definitely need to learn home canning. In addition to detailed instructions about the equipment and process, this audiobook includes 11 home canning recipes. I’ve always been interested in urban farming and homesteading. For years I’ve been growing fruits and vegetables, and home canning was a natural extension of this occupation. In 2006 I taught myself home canning and was hooked. The food tastes so good and it’s a great way to increase the amount of local produce in your diet. I was eventually invited to give a home canning seminar at the Grange in Chico, California where I lived in 2008. Then I was a guest expert on a podcast called More Hip Than Hippie. 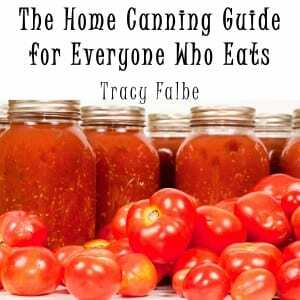 I developed a short how to book for home canning and published it in 2011. It’s been selling well and getting good reviews, so I decided to expand its availability into audio. When you wrote the book did you know you were going to offer it as an audio book? About two years I decided to expand into the audio market to extend the reach of my content. I used the Guru.com marketplace to find freelance voice talent. After receiving several bids, I selected the professional with the voice that I thought best suited the material. 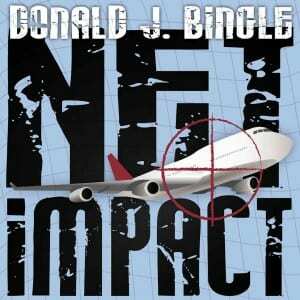 She sent me the audio files and I assembled the audiobook to sell at my website and at audible and itunes. My advice would be to learn your way around some basic audio editing software. I use Audacity, which is great. This allows me to assemble audio files and export them into mp3 files. As I mentioned I used the Guru.com marketplace to find voice talent. It’s a nice system where you can see reviews of professionals from previous clients. What else would you like to share with readers about your audio book? Some people get intimidated by the process of home canning. It’s actually a fairly simple procedure. Listening to the directions could help you get a grasp on the steps of the process. Some people learn best from auditory materials. Josie Bates has a full plate caring for a troubled teen, but it’s about to get fuller when her ex-cop lover, Archer, is accused of murdering his disabled stepson – a son Josie never knew he had. When Timothy Wren died at California’s oldest amusement park it appeared to be a tragic accident. But now Timothy’s biological father and the district attorney are out for blood. Is this a criminal action with merit, a vendetta, or a shakedown? For Josie the stakes are personal. Racing against time to prove someone is framing Archer, her faith in him is tested by his honesty regarding his feelings about his stepson. Finally, she finds the truth lies not in Archer’s words but with a long-forgotten silent witness. I had three friends who were going through divorces at the same time and I noted that, no matter what the circumstances, families and friends seemed to immediately support the woman during that hard time. I began thinking about father’s rights. I found dad’s situations in divorce heart-wrenching as they often battled not only family but the judicial system. When you wrote the book did you know you were going to offer it as an audio book? After producing Hostile Witness it seemed a natural progression to move on to the next book in the series and let Josie Bate’s voice continue to be heard. I felt very lucky that Tara Platt, the award winning voiceover artist, agreed to voice Silent Witness also. I love her work. Communicate the story from character to plot point. If you’re doing the next book in a series, tell your talent what changes in each character and point out what must remain the same. What else would you like to share with readers about your audio book? My goal is to not just move the characters forward but to give them true lives to live. Audio deepens my understanding of them. My husband, a Superior Court judge in California, presided over a criminal case in which he sentenced a sixteen-year-old boy to life in prison because he had been tried as an adult. It was a dramatic trial and it was the inspiration for Hostile Witness. When you wrote the book did you know you were going to offer it as an audio book? My son is a talent manager and his client, Tara Platt, is an award winning voiceover. I have to credit him for making it happen and Tara for bringing life to the characters I love. Tara actually did a sample reading for me. After I heard her voice, there was never any question that she would be the voice of Josie Bates and The Witness Series. GIve your talent as much information as you can in as orderly a manner as you can. I wrote an overview for Tara of each of the primary characters – not just the main one – a short synopsis, plot points etc. I also gave her a copy of the book. What else would you like to share with readers about your audio book? I am not sure I can adequately express the feeling of hearing this story told. 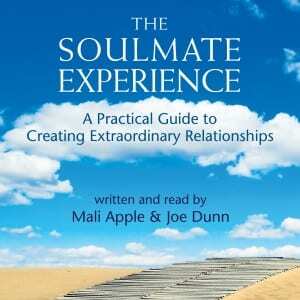 I thought an audio book would feel a bit anticlimactic. After all, I knew who these characters were, I knew the story, I knew how it ended and yet I found myself caught up as if I it was unfolding for the first time. That was an amazing experience.